HOW TO ORDER: When you see a book you want, just click on the “Purchase Here” button. You’ll be taken to IndieBound, which sources books from independent bookstores around the country. You can choose to pick up your purchased book(s) at an independent bookstore near you (where — who knows? — you may someday do a reading from your own book), or have it shipped to you. When you shop at an independently owned business, your entire community benefits. On average, 68% of the money you spend at an independent store will benefit your personal community, versus 43% of what you spend at a chain. It also has been said that buying from independent stores also benefits the environment, as well as supports small business owners, which in turn has been shown to benefit not only your community but local charities as well (local business owners have been shown to donate more to local charities than do chain stores). I am a proud affiliate of IndieBound. NOTE: Although I link to a free PDF version of this book on my “Resources / Inspirations” page, I think it is well worth owning your own print copy of this classic book on writing. First published in 1934, it has stood the test of time, as fresh now as ever it was when the author penned it in all her wisdom and optimism. “. . . may never dare to bracket himself for a moment with the immortals of writing, but the disclaimer that genius cannot be taught, which most teachers and authors seem to feel must be stated as early and abruptly as possible, is the death knell of his real hope. He had longed to hear that there was some magic about writing, and to be initiated into the brotherhood of authors. This book, I believe, will be unique; for I think he is right. I think there is such a magic, and that it is teachable. This book is about the writer’s magic. “This isn’t a book about How to Write a Novel, nor how to write any particular kind of book at all. It’s about what must happen before that: the mysterious process of first becoming a writer, acquiring the writerly instincts. . . . Making the unconscious conscious, and making the conscious tap the elements that are less than conscious — is an essential part not just of the process of writing, but becoming a writer in the first place. . . . One of the most truthful thoughts in this very truthful book is the repeated implication that only part of the business of writing can ever be consciously taught. Most has to be discovered, from within. . . . Becoming a Writer is a marvelous book, redolent with its author’s wisdom and presence. Its chapters can grace your writing life with both wings and gravitas. This is a great, evergreen book. I deeply recommend it. 📗 WRITING DOWN THE BONES: Freeing the Writer Within, by Natalie Goldberg. (Boston: Shambhala; Anniversary edition, 2016) Genre: Any. This is a good book for developing writing muscles and a more spacious way to hold the process. Did you ever wish you could wave a magic wand and end up with a book you’ve written (that you love)? You can. The magic wand is your compassionate awareness of the treasures that lie in wait inside you. Starting Your Book will activate this magic wand. This is my book; of course I want you to read it. Initially, I wrote it because for many years, the only kinds of books on writing I could find focused on the craft alone. I wanted to find out how to pay attention, fruitfully and respectfully, to what was in me — to learn to know it, trust it, make good use of it. As often happens when someone needs a book that doesn’t exist in the way they need it, I ended up writing it myself. Its wisdom has become a touchstone for me, and for others as well, based on reader feedback. The essential message? Writing your book is not a formula you need to learn. It’s an organic growth that can only come out of you. Being present to yourself and coming to know yourself as a creative person (and the kind of creative person you naturally are, what opens you) infuses your experience of writing and the writing itself. As you become more acquainted with what’s inside you, writing your book will flow more easily, surprising and frequently delighting you with what — and who — you find. Encourage you that there’s a way to write a book that actually provides joy and satisfaction as an intrinsic part of the process. Assure you that if you are called to write a book, you already have within you what you need in order to do it. Inspire you that you are essential to writing the book rooted in your heart, and that this presence is your real gift to yourself and your readers. Support you to take this profound inward journey, which will produce a book that you will be glad to have written and to offer as a treasure to the world. “When you read something true, it feels like love, or gratitude, or a connection to something larger. This is how I feel when I read Starting Your Book. The deeper place that Naomi’s words emerge from serve to invite and induct me into a more heart-full and connected place within my own writing. Her book has been a solace and a reminder that I do have something to say. We all do." Starting Your Book is available directly on this site. Click here to learn more about the book. Or click the button below to purchase it. “Artists are intensely aware of the chaos implied by the moment-to-moment sensual experience of human beings on this planet. But they also, paradoxically, have an intuition that behind the chaos there is meaning; behind the flux of moment-to-moment experience there is a deep and abiding order. “There are lots of people who believe there is order in the universe . . . but the artist is comfortable only with going back to the way in which the chaos is first encountered — that is, moment to moment through the sense. Then, selecting from that sensual moment-to-moment experience, picking out bits and pieces of it, reshaping it, she recombines it into an object that a reader in turn encounters as if it were experience itself: a record of moment-to-moment sensual experience, an encounter as direct as those we have with life itself. Only in this way, by shaping and ordering experience into an art object, is the artist able to express her deep intuition of order. . . .
"Art does not come from ideas. Art does not come from the mind. Art comes from the place where you dream. Art comes from your unconscious; it comes from the white-hot center of you. . . . Even if you can by force of will insert some nicely observed sense details into the work, you'll find the work moving toward analysis and description and generalization and abstraction when, in fact, in the work of art the most important moments are the most sensual of all, the most in the moment." The author gives some very specific guidelines for writing a novel this way. Whether it is a novel you are writing or a book of nonfiction, your range of possibilities — within yourself as much as on the page — can benefit from this sensory-based approach, You may wish to try them out, or not; either way, this book will call up a different kind of intelligence in you, bringing you to the page in a more embodied way, enlivening you as well as your writing. I also appreciate that — in these days, where writers are exhorted to have a market niche in mind before even starting to write their book — she advises writing to please yourself. This book has the same intimate, good-humored nature as appears in her novels. And she gives good, specific advice about elements of writing (e.g., plot, voice, characterization) as well as the writing process (e.g., having a daily routine, getting unstuck). If you find writing prompts of use, you’ll have enough in this book to last you at least half a year. I find this view of writing as love so necessary, and so in harmony with (at my best) my own perspective. Only love can invite the veils to part; can bring the writer to the final words, “the end,” with a sense of having been somewhere valuable and found something ineffably important. Escaping into the Open is a door you may well wish to go through. Because who you are within yourself when you write makes a difference to your writing and your being. The “inner critic” is the downfall of many a writer, both highly experienced as well as new to the art. Its tendency to rear up at the least movement of excitement or confidence about our writing projects can slay the best of intentions, the most beautiful of aspirations. Because we tend to believe these inner, critical voices, we don’t have tools for distinguishing between helpful pointers and demolishing self-judgments. This compassionate, wise book charts the origin and destructive patterns of the inner critic — and gives us ways to diminish its power and connect with the fount of goodness and trust within us that is realer than anything the critic may level at us. Read this book to free yourself from your inner critic and get your true inner Friend onboard with your writing, and your life. 📕 LIVING FROM THE HEART: Heart Rhythm Meditation for Energy, Clarity, Peace, Joy, and Inner Power, by Puran Bair. (New York: Three Rivers Press, 1998). There is a simple yet almost miraculous power available through our very own heartbeat! Learning and working with its rhythms can bring about the inner states we long for, and those will enable us to move through life in a way that will bring us the results we desire. This innovative, Sufi-based meditation method for improving daily life can be applied to improve physical health, enhance intuition, concentrate personal power — and, by extension (though not specifically addressed by the author), help you write the book you yearn to bring through. Whether you are a beginning or an experienced meditator, learning to work with your natural heart-rhythm will help you to write from the trustworthiness of your heart. What a simple, doable, though little-realized, way to connect to your true nature — when writing your book, and in living your life. A most unusual and deeply readable book about the kind, warm, tender, affectionate love that babies expect before they can speak of it, and that, as adults, we all desire throughout our whole lives (even though we don't often acknowledge or even understand our need for this "cherishment"). Their book is a rare effort to explore that need, to create a "psychology of the heart." “What we offer in this book is a way of thinking about a basic human need — a need for affection, for the kind of love we call ‘cherishment,’ a love that goes heart to heart, telepathically. We offer a way of thinking about how the need for cherishing affection appears first in the relation between a preverbal infant and the infant’s caretakers and then, from this beginning, in all other human relations. You already know from your own experience, your own need, what we are gong to be talking about: cherishment, affection. You will have your own definition. It will be tacit in your immediate associations. . . Exploring the rich field of cherishment and opening yourself to it can only be of service to your experience of writing, as well as living. The great composer Aaron Copland can teach us a lot about real listening. The “author” of musical works such as “Appalachian Spring,” “Billy the Kid,” “Fanfare for the Common Man,” and many other classics of the mid-20th century, Copland had a gift for power and lyricism, and his music evokes a deep and varied spectrum of emotional responses in the listener. Yet as spontaneous as the finished works appear, Copland was an assiduous learner, studying with famed teacher Nadia Boulanger in Paris, and creating his own musical idiom that we are now so used to, thanks to him. Copland’s seriousness about the inquiry into music — what is it, how does it do what it does, and what makes for a good listener — is our gain. Because in reading his authoritative reflections on listening to music, we get to learn about listening itself, and see how it can open up in us through our minds as well as our ears. What has this to do with deep writing? The writer’s ability to listen is the cornerstone of writing that resonates deep into readers’ minds and hearts. Bringing what we can learn from Copland’s mastery of music to our process of writing, we will be able to hear our writing’s living pulse even as we pen the words. Your own inner treasures — in relation to writing your own book, and much more — may be helped to surface with the support of this wonderful book. 📘 ESSENTIAL SPEAKING: The 7-Step Guide to Finding Your Real Voice, by Doreen Hamilton, PhD. I recommend Essential Speaking not only because Doreen was my client, but also because so many of the factors that transform a terrified speaker into a speaker who is wholly present, heart-centered, and generous of intent also apply to writing. When we face the blank page, often (thanks to our “inner critic” — see Mark Coleman’s Make Peace with Your Mind in group #2, above) we freeze, experiencing that blankness as a judgment and commentary on our perceived lack of ability and worth. Essential Speaking not only takes its readers through the author’s personal journey of stage-fright (more accurately, terror) as a speaker, but also into a whole new approach to speaking in front of people — as a way to be with ourselves (as well as our audience) as we share what’s in our hearts, thereby connecting with those who hear us (you also can translate this to: read us). A deeply helpful book for those of us who yearn to be authentic when speaking, as well as to carry this capacity into our writing. The painting at the top of this page, and also decorating the description of Butler’s From Where You Dream, is “The New Novel” by Winslow Homer (1877). 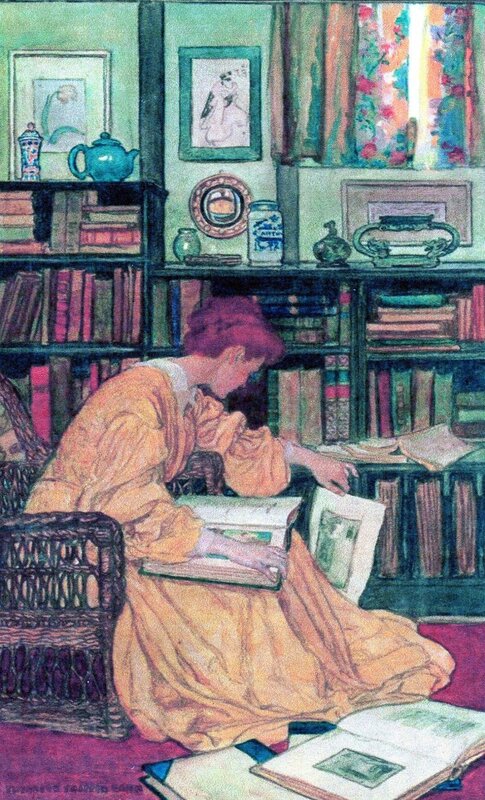 The painting decorating the description of Brande’s Becoming a Writer is “The Library” by Elizabeth Green. The painting detail on the cover of Rose’s Starting Your Book is by Risala Mary Laird. 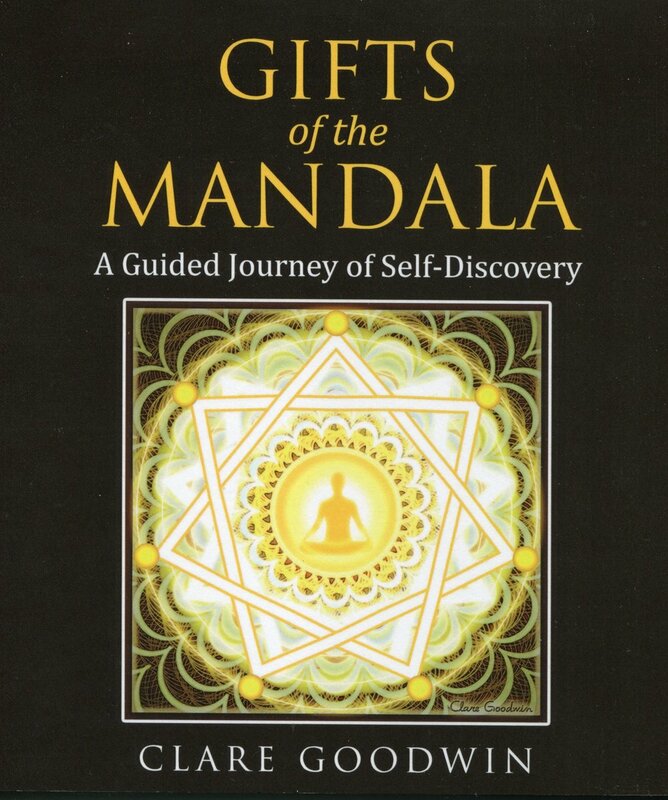 The book covers for Clare Goodwin’s Gifts of the Mandala and Doreen Hamilton’s Essential Speaking are property of the authors. 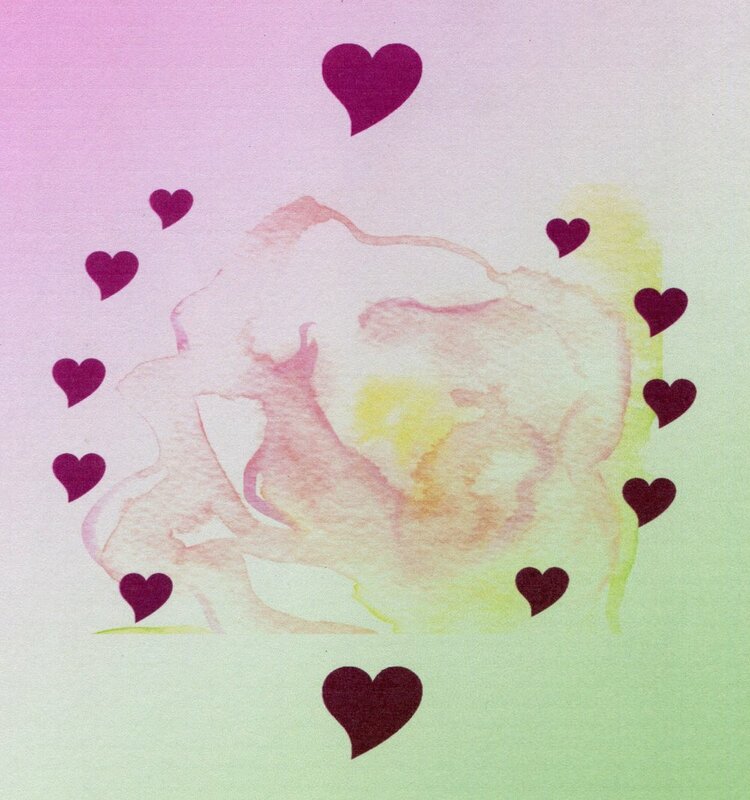 The photographs and heart-illustrations are by Naomi Rose.